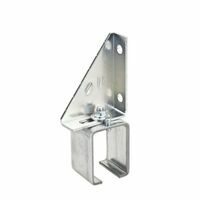 Designed for use on doors weighing up to 450 pounds. Rail drilled 24" OC for brackets. 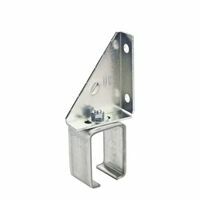 Can be used with many types of single and multiple brackets. Screws included. Meets ANSI/BHMA A 156.14, Grade 1. Rail is formed to give an even tread to hanger wheels.